All other interesting PC accessories. 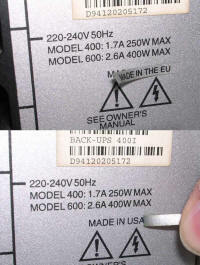 UPS is a device which allows to power the PC when the mains power is removed, e.g. electricity fails. 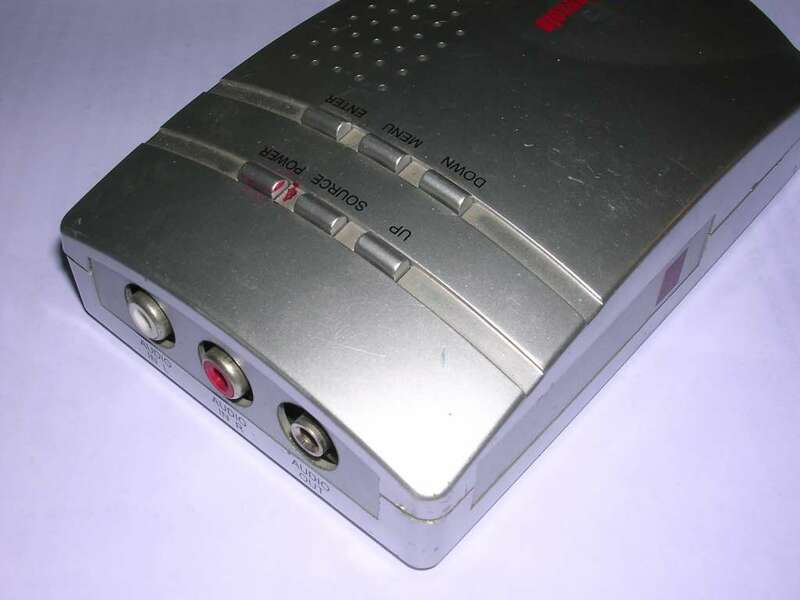 Although its battery - usually sealed lead-acid rechargeable one - doesn't run for a long time, it gives chance to save work and shut the PC down. 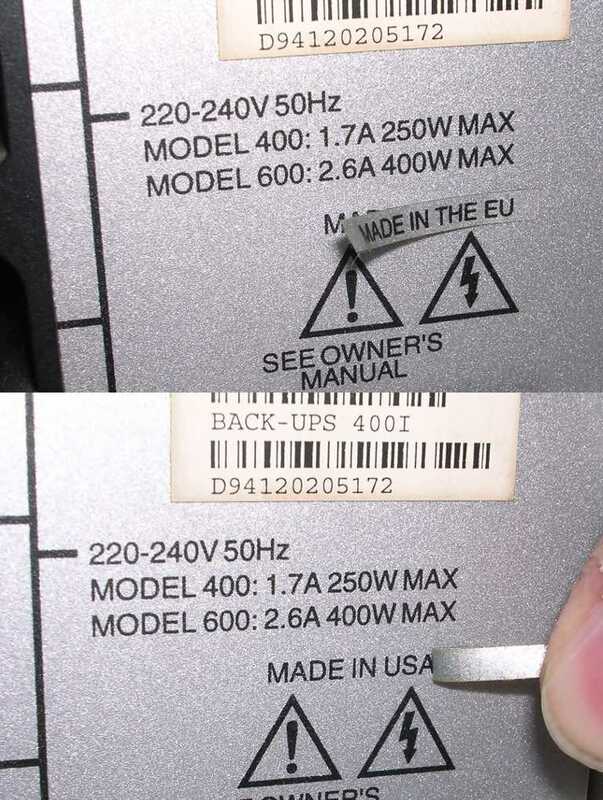 Usually these devices don't supply a sine AC, but a square wave, sufficient for most computers. 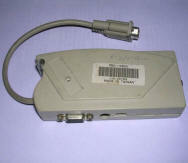 They may also have a serial port to notify computer about power problems or initiate automatic shut-down. 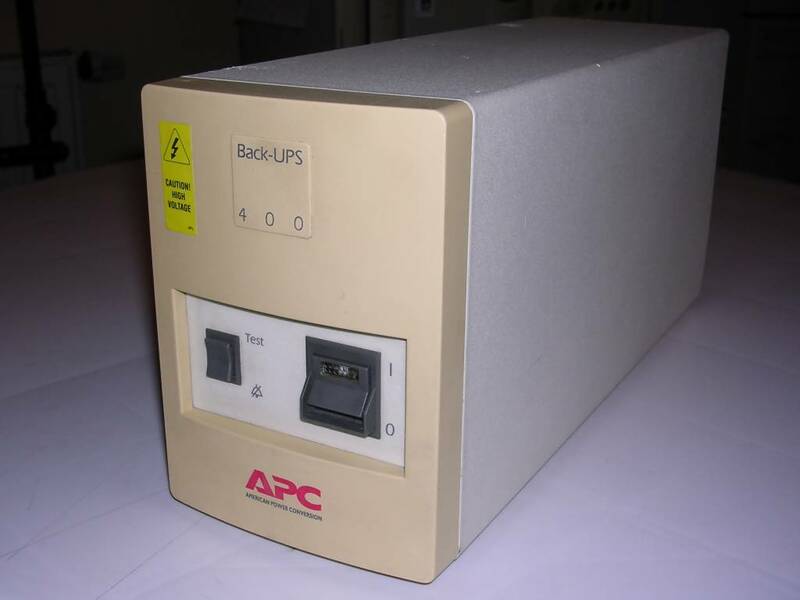 This is an UPS from mid-1990s, it contains one 14V lead-acid battery, being sufficient for a few minutes of PC operation with a small CRT monitor. 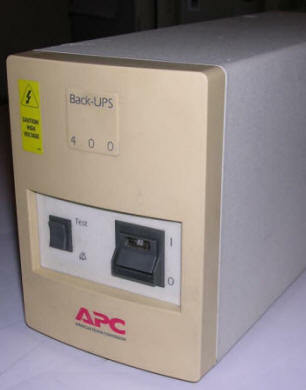 Although it has serial port to communicate with software, I have never managed APC programs to communicate with it - it probably needs an early version of APC PowerChute program from early 1990s. 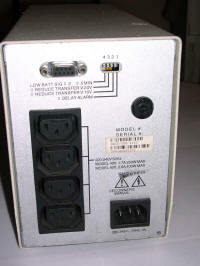 When the power is removed, the unit beeps every a few seconds. Continuous beep means that the battery runs off totally. If it beeps while there is a proper AC power present, it should be opened and battery should be checked as it may be faulty (e.g. leak). Manual +Back-UPS 900 and 1250 model. 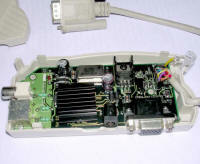 In 1990s PC-based projectors were not common, in fact were quite experimental devices. In most lecture halls, auditoriums or amphitheatres TV sets were placed here and there and it was possible to watch videos from VHS tapes. 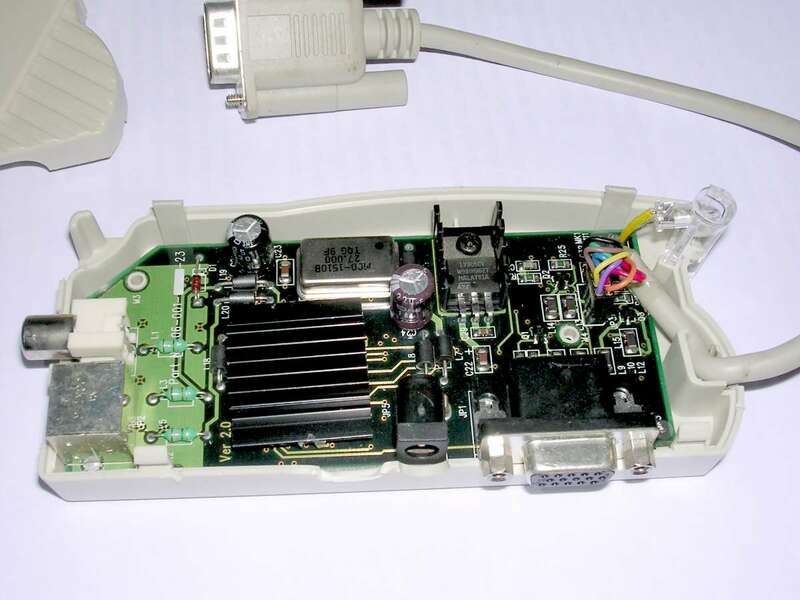 But how to connect computer to such installation? 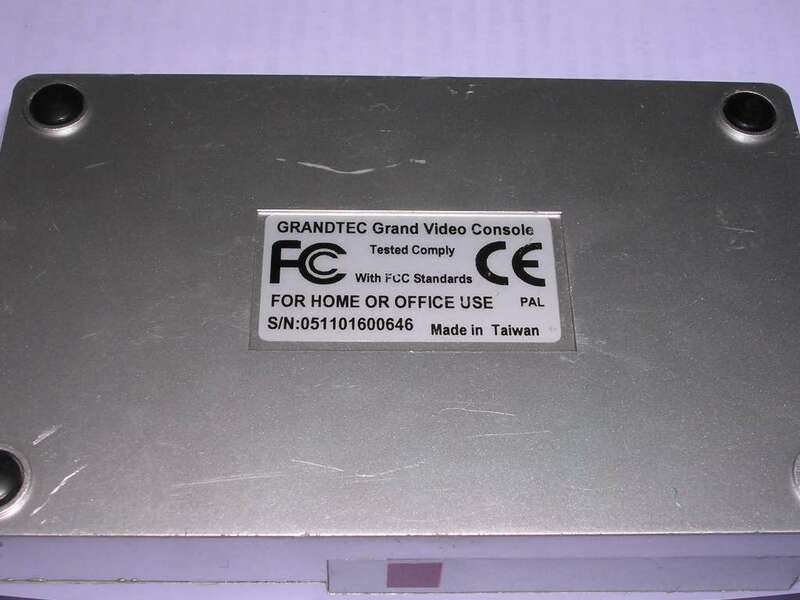 Hercules and CGA graphics boards emitted signals which were so compatible with TV, that many video boards had composite TV output. 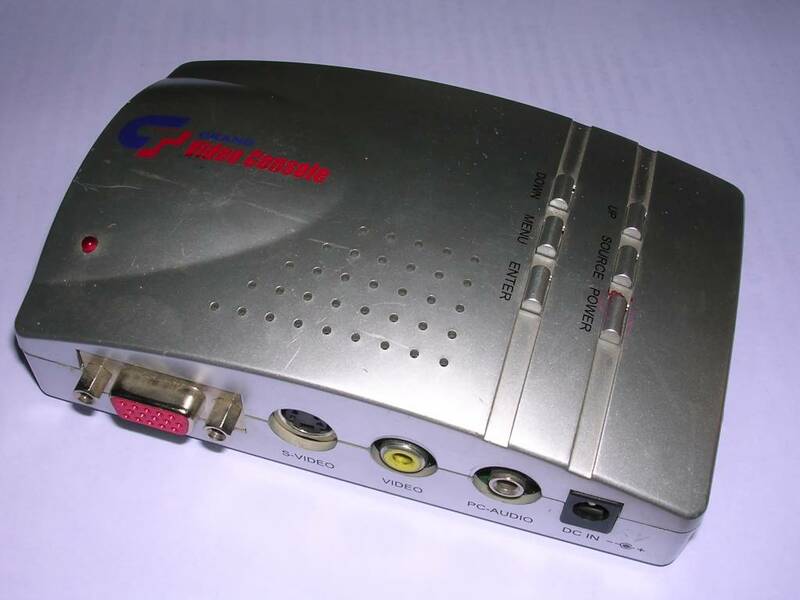 However, when VGA became more and more popular, frequencies of 640x480 resolution were incompatible with TV. The problem was solved with different approaches. There were small LCD screens which could be put on overhead projectors, but they were more expensive than VGA monitors. Some more expensive video boards converted frequencies and offered TV-Out connectors, but notebook and portable computers missed these. 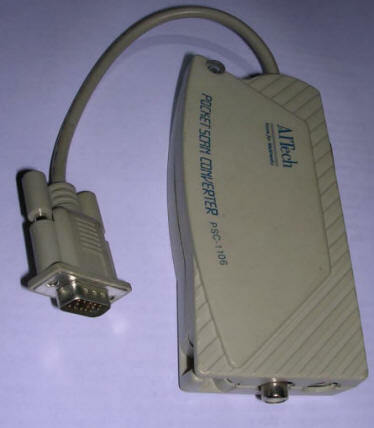 Finally, numerous VGA converters have been made. This is a typical model from ca. 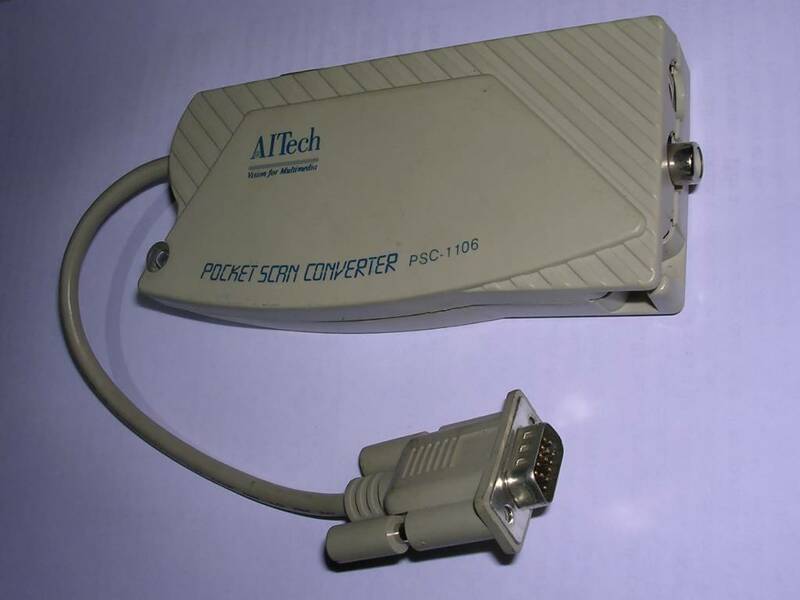 1995 which can convert 640x480 to TV-compatible composite video signal. A proprietary chip is used for it. It requires supply voltage around 9V, with ground to the inside of the connector. Unfortunately any higher resolution causes the chip to loose colour first, then synchronization. 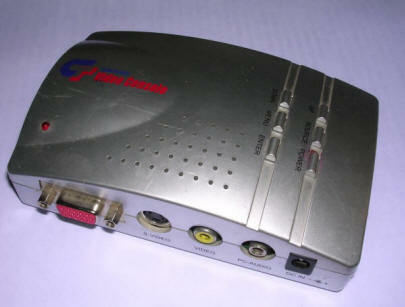 This device reverses function of Pocket Video Converter - it converts different TV signals to VGA. This way it's possible to e.g. 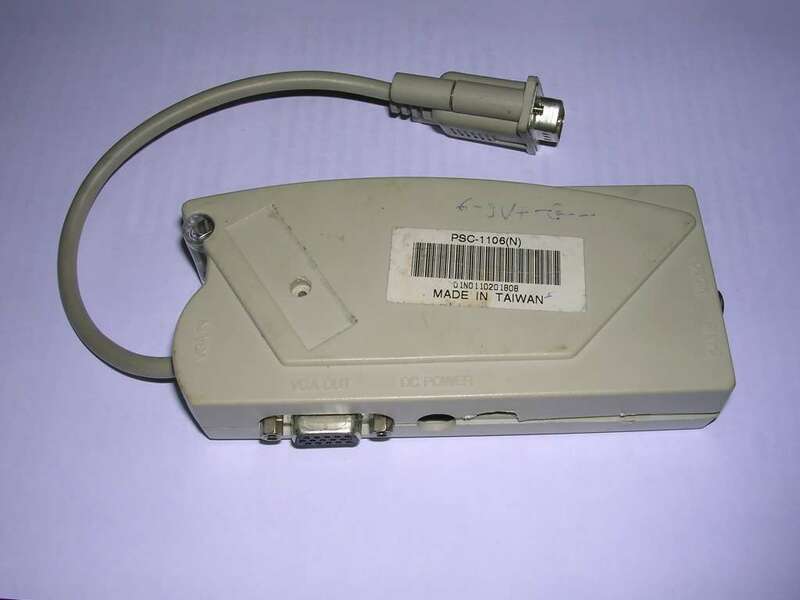 watch TV or VHS on VGA monitor without computer. 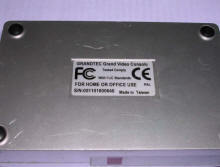 The device has a chip (scandoubler) which icreases frequency of input signal to get compatibility with VGA. It offers switching between VGA and TV signals, scales TV up to 1024x768 (1280x1024 in some models) and has even remote controller support. Alternatively it is possible to control the device with buttons. 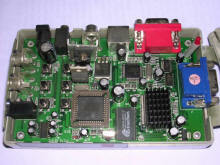 It requires additional power supply, 9..12V DC at 1 Amp at least.